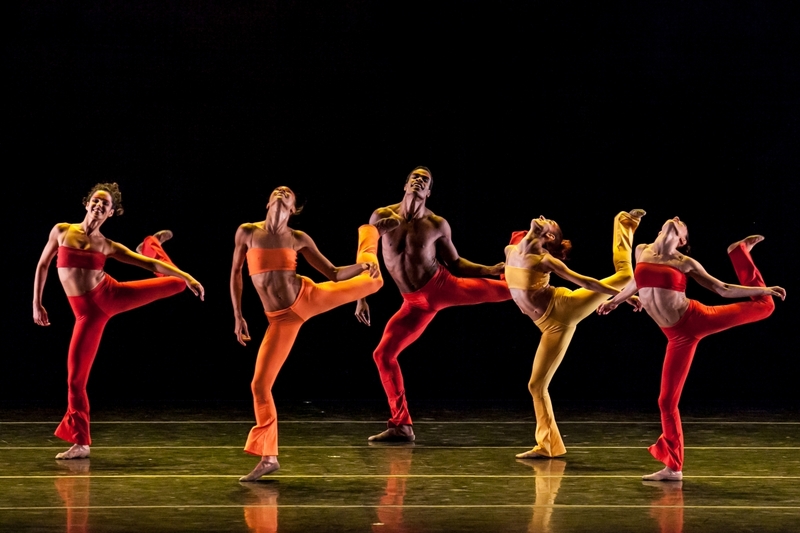 Contemporary dance company Grupo Corpo is renowned for mixing classical lines with samba and salsa to create a fiery energetic explosion of Brazilian dance and ballet. Sambaing all the way from Brazil is internationally acclaimed dance company Grupo Corpo who begin their UK tour at Sadler’s Wells this week. The company has toured their sensational show around the world, and brings 22 professionally trained dancers to the stage to dazzle audiences with their exuberant blend of dance and energy, sending audiences into a rhythmic frenzy with their contagious latin grove and ballet moves. 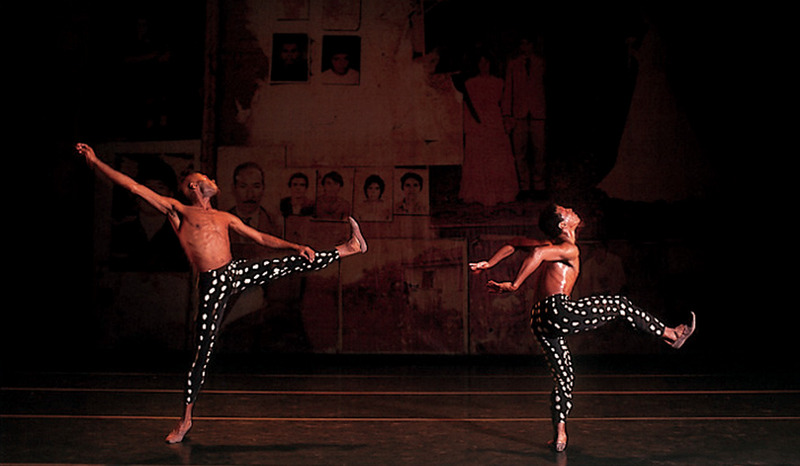 This unique dance fusion that catapult’s audiences from London to rural Brazil is the creation of Grupo Corpo’s choreographer, Rodrigo Pederneiras. Rodrigo has been with the company since 1978, after Paulo Pederneiras founded it in 1975. The Wonderful World of Dance interviewed Rodrigo Pederneiras about his role as choreographer and the inspiration to blend ballet and latin dance. You can also read our review of their London performance of Triz and Parabelo here. Grupo Corpo has such a distinct movement vocabulary combining classical technique with a contemporary fusion of popular Brazilian dance forms, is there a process involved in finding a balance between the two contrasting styles? The main idea is always to break classical technique (which is my base), therefore giving more emphasis to the movement’s dynamics, avoiding the classical figures and lines. The balance between the different styles is very important and the technique can’t be overwhelmed. It is always interesting to hear how different choreographers approach creating work with their company. Do you feel that you have a collaborative approach towards working with your dancers that allows your visions to evolve, or do you have a set vision from the beginning of a choreographic process and use your dancers as tools to communicate? It happens in both ways: I create the movements and I teach it to the dancers. On this process, I developed the spatial figures and lines, and the dancers brought new ideas and movements. We never work with improvisation. I try to bring out the best of each dancer, and I give them roles and scenarios that they feel comfortable with. I had shoulder surgery and when I was getting better I had knee surgery. The new choreography had to be created and usually I demonstrate all the movement by doing it myself. Since I couldn’t even walk I had to change completely my way of working, and started to verbalise the movements. So I had to explain – in words – all that I wanted them to do. It was a very hard moment and the process itself became the central idea of the new creation. It was our sword of Damocles. Life in rural Brazil inspired the second piece of the night, Parabelo, can you describe how you translated this idea into a choreographic language? Was there a particular experience in rural Brazil that ignited your inspiration? This piece was inspired by very typical situations such as women chatting and singing when washing clothes on the river, traditional and folkloric parties and art, colourful sculptures, paintings and devoutness. You have choreographed for companies around the world and toured Grupo Corpo across the globe, how has this influenced your work? To be in new places, to know different cultures, to speak other languages – all this helps to keep my mind open to new experiences. The company has nearly a 40-year history, how do you consistently find new and fresh ideas to explore? Our travels help a lot. Also the relationship with Grupo Corpo’s members, always trying to reach something new, something we have never done before. What advice would you give to young aspiring choreographers? Well, I would say that work in partnership is a great experience and also to try to obtain as much knowledge as you can in all areas, essentially at the artistic areas. If you are a lover of ballet and contemporary dance this is the perfect chance for you to see these genres with a new perspective – how often can you see glissades interrupted by the fast footwork of styles from Brazil? After watching Grupo Corpo you’re bound to find your body absorbed into the company’s pizzazz and possibly find yourself craving a night on the town! Grupo Corpo is in London until 4 October at Sadler’s Wells and then across the UK. The Grupo Corpo UK TOUR 2014 is being presented by the Dance Consortium, which comprises of 16 large theatres located across the UK, with a shared passion for engaging people with contemporary dance from different parts of the world.